Magnesium is one of the most important minerals that we use and is essential for cellular health, regulating over 300 enzymes in our body. It’s involved in energy production, electrical impulses, nerve function, muscle control, and the detoxification of harmful environmental toxins, so making sure you have adequate levels is extremely important. Magnesium can help regulate the stress hormone cortisol, which additionally can aid with hormone balancing, blood sugar balancing, and keeping insulin levels in check. It can also promote sleep, slow aging, enhance the absorption of vitamin D (which is vital for bone and immune health), and importantly, is vital in keeping your thyroid healthy, which can further affect the menstrual cycle and fertility. That being said, magnesium is one of the most common minerals to be deficient in due to poor soil quality, and the fact that a stressful lifestyle can actually use up our existing nutrient stores! 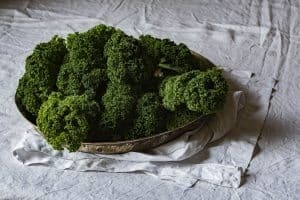 Our body tends to give us signs when we need a little looking after, so in any of these cases, eating foods rich in magnesium may ultimately lead to benefits. As another great addition, including Epsom salts into your bath is a brilliant way of absorbing the minerals. The salts are composed of magnesium, sulphates and oxygen, which have been used for centuries as a natural anti-inflammatory remedy. When they’re combined with water as a soaking solution, they encourage the absorption of magnesium in the body and promote lymph drainage. Floatation tanks are also the latest trend in the health world, as they are pods that contain 600 kg of magnesium rich Epsom salts in 25cm deep water. All you do is just lie in a pod, close the lid and float for an hour in a healing solution. Research has even likened this experience to meditation, as it’s an intensely relaxing experience! Benefits of using these Epsom salt flotation tanks include faster recovery from injuries, an increase in energy, reduction in lactic acid, and enhanced immunity! This comes from malic acid, which can help cells use and make energy, and is additionally beneficial for muscle pain. This comes from the salt of citric acid, which is helpful for relaxation, cramping, and regulating bowel movements. This is one of my go-to forms of magnesium, as it is more absorbable than most other forms and can help balance hormones without the laxative effect. Glycinate is also bound to glycine meaning that it can help promote sleep, so it’s a win- win from most angles! Suspect you’re low in magnesium? Give me a shout and we can work on a plan to get you feeling great again!